Haile Fida Kuma has made an outstanding contribution to the development of Oromo national orthography. He was one of the pioneers who attempted to shade fresh on the history of the Oromo, the right of the Oromo people to speak, read and write in Afaan Oromo. 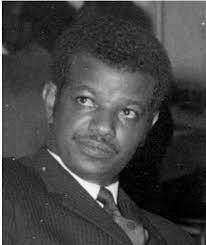 Jarra was the first Oromo nationalist in the OLF to alert and educate Oromo leaders and nationalists on the sinister schemes and the danger the Somali regime of Siad Barre posed against our people and land. He was uncompromsing when it came to the legitimate rights of the Oromo people. 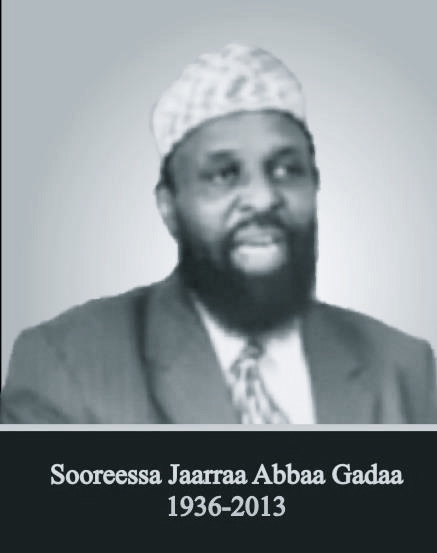 Moreover, Jarra consistently resisted and opposed foreign meddling in Oromo affairs. Obbo Baqqala Mokonnon, one of the distinguished pioneering founders and leaders of the renowned Macha–Tulama Self-Help Association (MTA). He was a great leader and a highly respected nationalist who devoted all of his adult life to fighting for the rights of the Oromo people. he died at the age of eighty-six. He spent about a decade in an Ethiopian prison as a prisoner of conscience and about a quarter of a century in exile. 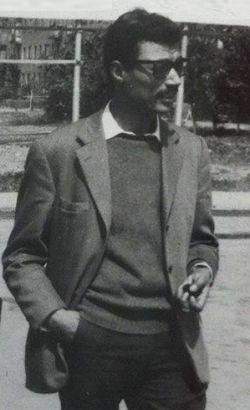 Waqo Gutu Usu (1920 – February 3, 2006) was an Oromo rebel figure and leader of one of the earlier Oromo separatist movements; the Bale Revolt, which in the 1960s had fought against the feudalistic system in place in the Ethiopian Empire. He was elected chairman of the United Liberation Forces of Oromia in 2000. In 2006, Gutu died in a Nairobi hospital, survived by 20 sons and 17 daughters. 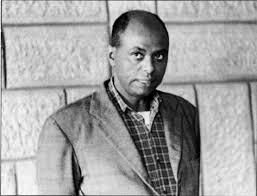 Gudina Tumsa (Boji, Oromia, 1929 – 28 July, 1979) was an Oromian freedom fighter, a theologian and General Secretary of the Ethiopian Evangelical Church Mekane Yesus. On 28 July 1979 Gudina Tumsa was abducted and killed by strangulation. His murder brought to an end creative and visionary theological reflection in the church, which was so much needed in Ethiopia at the time. 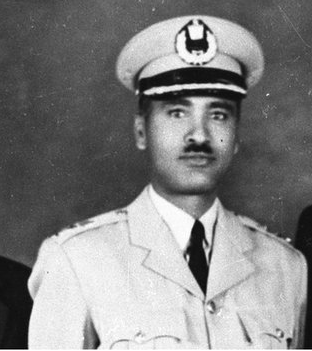 Tadesse Birru (circa 1920 – March 19, 1975) was a Colonel General of the Ethiopian Imperial Army and an Oromo nationalist. 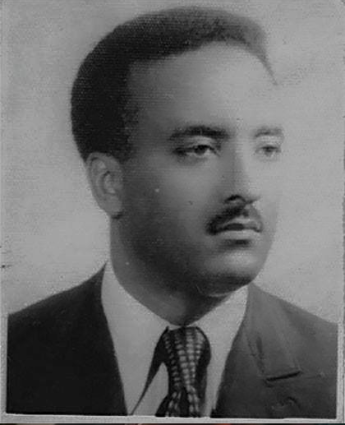 Initially a strong proponent of Ethiopian unity, Tadesse eventually became an activist for the empowerment of the Oromo people in the 1960s. His advocacy turned into repeated attempts to overthrow the government through a coup and later through a military rebellion. He was eventually captured and executed by the Derg regime. He is considered to be the father of modern Oromo nationalism. 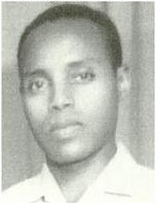 Elemo Qilxuu (1936–1974) was an Oromo nationalist leader in Oromia. He was born in Hararghe, eastern Oromia, to a humble Oromo peasant family.Hassan Ibrahim, more commonly known by his nom de guerre Elemo Qiltu, was a prominent member of the Oromo nationalist movement and the leader of the first Oromo Liberation Army. Elemo Qiltu is considered a martyr by the Oromo people and he is immortalized in many poems by Sheikh Bakhri Sapalo and many Oromo nationalist songs. 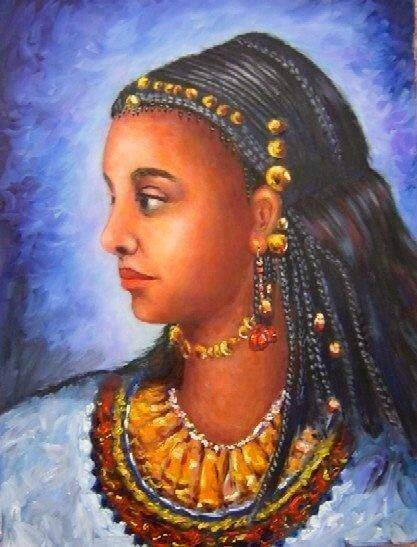 Mahbuba was an Oromo Slave who won the heart of a German Prince. She was exceptional beautiful girl. Her parents called her name “Bilillee” which literally means well shaped, pretty. 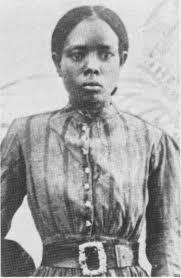 She was born in Guma, current Eastern Oromiyaa, Ethiopia in 1820 G.C. Unfortunately when she was 15 age, the civil war out broke in that particular area in 1835/36. It was during that war period she lost her father and six brothers. She left only with her mom. 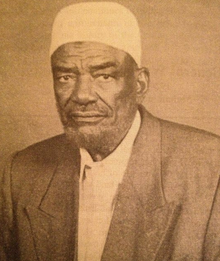 Aster Ganno(c.1872–1964) was an Oromian Bible translator who worked with the better known Onesimos Nesib as a translator of the Oromo Bible, published in 1899. She was born free, but was later enslaved by the king of Limmu-Ennarea.In 1904, Aster, together with Onesimos and other Oromos, were able to move from Eritrea back to Wellega, where they established schools, Aster serving as a teacher at Nekemte.